What is the standard delivery time for web-orders? Standard delivery time is between 5-7 working days from order placement or artwork approval. If your event date is within 5-7 working days please contact us directly and we will do our best to supply your order on time. When will I receive my product artworks? Glass / Crystal- within 2 working days. Bespoke medals/ coins/ pins badges- within 3 working days. What is the difference between our stock coins and stock medals? Our stock medals have a loop that allows a ribbon to be attached. Our stock coins do not have a loop. Therefore, we would not recommend ordering ribbons when ordering coins. What is the standard lead time for bespoke medal, coins, pins and badges? The standard lead time is 6 weeks from artwork approval. If an event is within 6 weeks we will advise on whether or not we can supply your bespoke order in time. Can you produce precious metal products? Yes, we can. 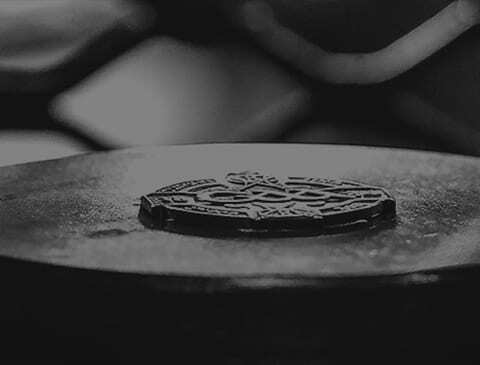 All of our precious metal medals, coins, pins and badges are produced in our production facility in Bluebell and are officially stamped at the Assay office in Dublin Castle. What is the minimum order quantity for bespoke products? Technically, there is no minimum order quantity for bespoke medals, coins, pins and badges. However, it is important to note that the cost of setting up and creating a die for a bespoke product means the higher the quantity the order, the more economically advantageous the unit cost becomes. Do you have a showroom? Can I call in? Please call to arrange an appointment to visit our showroom and have a chat with a member of our sales team.